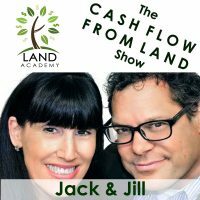 Steven Butala: Today, Jill and I talk about the three types of Land Academy members. I’ve been looking forward to this for quite some time. Jill DeWit: We now know. We’re what, three and a half years in? Steven Butala: Here’s a hint. Jill DeWit: We have a pretty good idea who’s going to be successful and who’s not. Steven Butala: Within the first week. Here’s a hint. It’s the exact same people in high school. Jill DeWit: You think so? All right. Steven Butala: There’s people who kill it in high school and people who don’t. Steven Butala: There’s people who do really well at their jobs and people who don’t. Jill DeWit: All right, let’s talk about this more. Steven Butala: Okay, co-host. Before we get into it, let’s take a question posted by one of our members on the Land Investors online community. It’s free. Jill DeWit: I do have one stray hair. Jill DeWit: The mom story? Steven Butala: No, Jill’s not going to tell it. Jill DeWit: No. Thank you, though. Thank you for asking. Not throwing me under the bus. Steven Butala: Okay. It’s a typical mom thing. Steven Butala: Jill’s too nice of a person to make fun of her own mother. Steven Butala: On the air, at least. Jill DeWit: Thank you. Michael asks, “Hello, friends. For those of you who are doing infill lots, how dense of an area do you target? I’m looking at an area in Florida, and my rough calculations suggest that about only 50% of the land is developed. Is this not dense enough? Thanks in advance.” Great question. Steven Butala: This is not dense enough. Jill DeWit: Correct. Moving on. 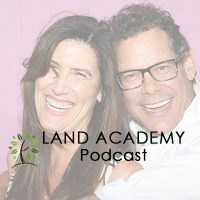 Steven Butala: Land Academy 2.0, which is included with the membership, is all about infill lots, and we cover this in a tremendous amount of detail. Yeah, you don’t want … You’re probably talking about Lehigh Acres, and no, you don’t … Lehigh Acres is this massive development in south central Florida. I mean, it’s huge. It’s huge. It’s hundreds of miles. It was all developed with … It’s not a master planned community. It was all developed by somebody who put the infrastructure in and then wanted to sell the lots, and then you go find a builder and you build your house, build a dream house. Usually it’s a second home situation, so the vast majority of the lots … Not the vast majority. 50 to 60% of the lots are just still sitting there. Steven Butala: See, because now you’re not … Infill lots are not … We don’t market them to end users who want to go on vacation and have this concept in their mind about retirement like rural vacant land. We’re marketing them to home builders, and you have to think like a home builder so you can maker sure these properties get sold as you buy them. Steven Butala: Yeah. Today’s topic, the three types of Land Academy members. This is the meat of the show. Jill, you are crazily writing notes before this show. Jill DeWit: Okay, here are my notes. I have three I came up with. This is what I think are our three types, and then see what you think. My first type is a former business owner, and they are awesome and their talent is they usually are scrappy and they’re not afraid. I love it. Steven Butala: Don’t even know that they’re failing and they’re actually failing. Steven Butala: Just plow through it. Jill DeWit: “You mean I can’t have … A checkout cart’s not going to work on this web site? Fine, I’ll just put it on another site. We’ll do something differently.” You know, whatever it is. They just solve it and move on, because we’re used to that. You open the door to your business, you can’t just go, “Whoops, this didn’t work,” and quickly close the doors. No, it’s out there, man. It’s running, so you have to just figure it out and move on. Steven Butala: That was my number one too, and my number one also, and I call that the adapt-and-overcome model. The Marine Corps slogan. Jill DeWit: You know, and I love the former business owners too, because they know what’s needed and what’s not needed ahead of time. They know that starting with only the necessary pieces, you don’t have to have your business cards beautiful, you don’t have to have your office, your desk all ready to go. They know what’s needed just to get going, get some money coming in, and then work on those things. Do I need an LLC and perfect business cards and all that stuff on day one? Uh-uh. I can do transactions in my name. We’ll figure this all out, and as I make more money, I can forward other things. The rest will come. Steven Butala: I’m going to tell you a story. Steven Butala: Along these lines, so very early in my career, I was hired by a company, a health care company that went public and needed a vice president of acquisitions to grow their business so that they could report back to the publicly traded … That we were growing. So we rapidly were growing. We were buying 20 and 30 long-term care facilities a month at one point, and we were running out of space. We were running out of office space. Steven Butala: He said, “That’s very big of you. Yeah, move the brooms out.” So I worked, literally, in a broom closet in an office building while the other foo-foo VPs and operations people that all needed to have their egos soothed, and that was it. That’s the kind of attitude I’m talking about. You don’t care what it looks like. Jill DeWit: You still have that attitude. Steven Butala: Look where we’re sitting. Jill DeWit: I know. That’s why I’m saying it. Steven Butala: We’re sitting in a storage room that I converted into my private studio. Jill DeWit: It’s awesome. It was forgotten. Steven Butala: Now it’s my office, because I love it so much, and no one can find me. Jill DeWit: You’re hidden, it’s great. Steven Butala: In the attic of an office building in Redondo Beach. Jill DeWit: You have an ocean view. No one has the view you have. It’s awesome. Steven Butala: So how you look and what you think doesn’t matter. What matters is how you perform. Maybe that’s a Midwest thing, I don’t know. Jill DeWit: I love it. All right, my number two of the type of Land Academy members are smart professionals from other careers that traded a regular paycheck and a 401(k) to be their own boss and build their own empire. Steven Butala: I like it. Jill DeWit: We have several, myself included. Steven Butala: A little slower to start, a little more cautious. That’s fine. Jill DeWit: Yep. Kept the day job while they’re doing it. Weren’t crazy. Then when they can make the transition … Who did we just talk to the other day? Someone just told us this great story about that. Steven Butala: Just like this. Exactly what you’re describing. Steven Butala: He was a chemical engineer, too. Jill DeWit: Yeah, it was 20 … Whatever number was right for him. It was 20 or $25,000 a month he’s got coming in right now. He’s like, “Now I don’t need to worry. I can do this,” and he did. Jill DeWit: We have a lot of members like that. Steven Butala: You do not want to do it too early and put yourself in some stressful situation. Jill DeWit: Exactly. What I find so interesting is no one was hurting. These people come from very … So many of our members came from really high-paying, successful careers that they had an awesome lifestyle, but there was something more. Something wasn’t right. For me personally, I got tired of making money for somebody else. I’m like, “If I’m working this hard, I want to do it for me.” That’s where I was. Then you realize, too, the golden handcuffs. It’s true. They dangle, but you won’t have a 401(k) and your insurance won’t be paid for. I don’t care. I’m making so much money I can do it on my own. It’s fine, and that’s beautiful. Steven Butala: What should we call that? Jill DeWit: I just called them the smart professionals. Steven Butala: “Take this job and stick it.” That’s what we should call them. Jill DeWit: Right. Want to know my third one? Steven Butala: Yeah, all of us. Jill DeWit: … Because we think we’re invincible. Steven Butala: Jill still drives like that. Jill DeWit: Kind of like myself, going to this live event. I’m like, “What do you mean, it’s not going to …” You were worried about it not going well. I’m like, “You never shared it with me, thank you.” Then I didn’t know it wouldn’t. That’s just how I operate. Steven Butala: Let me remove the sugar out of Jill’s silver lining here. Jill DeWit: Oh, no. Here’s the truth. All right, in your words, what is it? Steven Butala: There are people who are so narcissistic that everything else is not their fault. They can’t log into a web site, they’re too good or uninterested in learning Excel, and because they’re paying a monthly membership fee, they don’t have any problems anymore. They use the hell out of our customer service and toss it aside. They abuse it, actually. Jill DeWit: It’s true. They don’t take responsibility. Steven Butala: They don’t take responsibility for themselves. Jill DeWit: Right. That’s not cool. Steven Butala: Everything else is everybody else’s fault. In fact, it’s this. It has nothing to do with Land Academy, and everything to do with the fact that they don’t know how to use a computer and they don’t know that it takes … Computers take a tremendous amount of patience. There’s a whole long list of stuff I have no patience for at all. Jill has it in her purse. Computers and how to operate computers and Excel and running a business, for whatever reason, is something I have a lot of patience for, so this actually works for us. Jill DeWit: But that’s too much. Steven Butala: It’s a very small number, but there’s always … And they always show up at these events. You know, you could look up 25 properties on ParcelFact, and one of them doesn’t work, for whatever reason … It’s usually user error, like typing the APN, and then that’s all we hear about for days. But 24 of them are fine. Jill DeWit: Yeah. So that’s your third type? Jill DeWit: What do you call that third type? Steven Butala: I don’t know. I was actually hoping you could name it, because I don’t know. I’d probably just call it … I don’t know. I’ll think of it by the end of the show. Jill DeWit: No, because I’m going to sugarcoat it. I’m going to make it nice, so you call it what you want to. Steven Butala: I don’t know. I’ll think about it in a second. I just thought of some really derogatory words that I can’t even say on the air, actually. Jill DeWit: Thank you. Thank you. Steven Butala: If you can’t bring something to the table that’s relatively extraordinary in this environment, chances are it’s not going to work. If you’re looking for us to change your life, just keep moving on. Move along. Jill DeWit: And spoonfeed it. We just can’t. Jill DeWit: Right, because we do. Jill DeWit: That’s the point. Steven Butala: Yeah, we will deliver on that. Steven Butala: We’re not going to hold your hand and we’re not going to spoonfeed you about how to log into a web site. We’re just not, and we’re not going to teach you Excel. Jill DeWit: That just gets under your skin. Steven Butala: We’re not going to teach Excel. Jill DeWit: This is clearly a hot topic for you, is why this is here. Is that what this show is really about? Jill DeWit: You didn’t really want to talk about the first two, you just want to talk about this. Steven Butala: Oh, no. The first two … The vast majority, I mean 98%, 99% of our members, are the first two. Steven Butala: You know we should. Maybe that’s the next show. Jill DeWit: Maybe. All right, got it. Steven Butala: In fact, I’ll do those shows all day. Jill DeWit: Oh, boy. Oh, great. Steven Butala: Everybody out there, do yourself a massive favor and just go on YouTube and learn Excel. Jill DeWit: By the way, it’s the same in anything. Come on. Steven Butala: Yeah, it’s not Land Academy. Yeah, yeah, yeah. Jill DeWit: You can’t start any career or new job not having some of the basics, or it’s not going to work out. It’s not like we’re picking on anyone in particular, it’s just you need to know what you’re good at and you need to be able to call it yourself. You know what you’re good at. Steven Butala: Well, you’ve done it again. You’ve spent another 15 minutes or so listening to the Land Academy Show. Join us next time, where we discuss networking and finding business partners. Jill DeWit: And answer your questions, posted on our online community, LandInvestors.com. It’s free. Steven Butala: That went a lot better than I thought. Jill DeWit: Yes. That was good. Steven Butala: Just because you. It’s all because of you. Steven Butala: We’re a good team, Jill. Steven Butala: That’s what this next episode tomorrow is about, finding a team member or a partner that understands you. Jill DeWit: Oh, I thought it was just money. Steven Butala: Well, that’s part of it. Steven Butala: No, don’t. That only ends one way. Jill DeWit: Doesn’t work that way. Don’t do that. 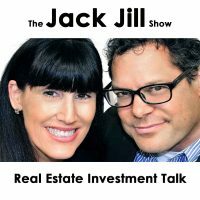 Jill DeWit: Share the fun by hitting the subscribe button to stay up to date on our podcast or if you’re new to our channel, like us and comment on what you’d like to see in future shows. If you’re listening on iTunes, please rate us there. We are Steve and Jill.